The release of this cover today was SUCH good timing for me. 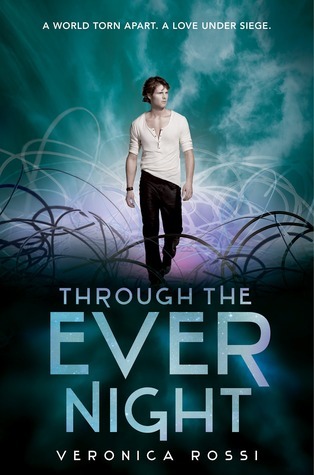 I just finished the first book of this series, Under the Never Sky, and absolutely loved it. I give the book 5 stars, but you will find out more about my review soon when I post it. 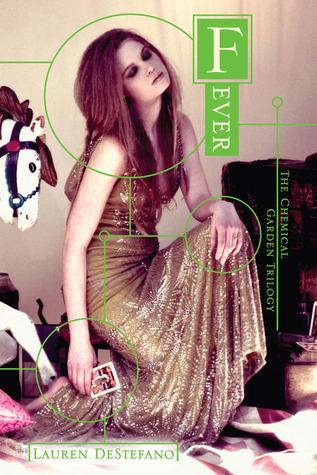 Just to give you a hint, although the book follows somewhat typical YA fashion, I fell in love with the characters. Having such well-built character development makes anything similar just fall away. Basically, if you are going to do YA of this genre the only way to make it stand out is for everything in the book – the romance, the world, the dangers – seem real and not forced. And the first book accomplished that. I have high hopes for this next installment! Now to the cover. I’m not ooh-and-awwing about how beautiful it is, just because it is just as beautiful as the first and nothing really surprised me. I heard that Perry was going to be on the front, and I’m so thankful he is! He looks very similar to the guy used in the book trailer for Under the Never Sky which you can see here. Second cover: What is this? The girl looks high and the whole picture is just ugly. The background color somewhat matches and will look okay next to the first book, but the bright green lettering? Ick. Also, I get that the book is about a carnival so that’s why the random horse is on the side, but I just think its cheesy. And ugly. And the last cover release: WTF is this. The BRIGHT GREEN would look horrible against the last two, standing out awkwardly. The placement of the various objects just doesn’t look beautiful and natural like the first cover. The girl just looks uncomfortable and doesn’t draw me to the cover. Hey, I could be wrong and when you hold these three together it looks great, but from pictures it just doesn’t cut it for me. 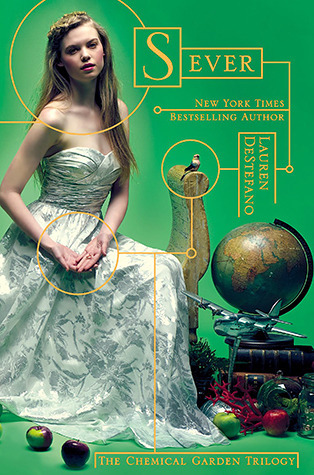 If only the covers were as beautiful and unique as Lauren DeStefano’s writing. In my opinion, the covers just don’t do her justice. But so far, the Never Sky series looks like a series I will buy not just for the writing, but because it’ll look so pretty on my shelf! Also, I love what Perry is wearing on the cover. Maybe it’s just me, but I have a weak spot for guys wearing stuff on their wrists – watches, arm bands, etc. And lo and behold look what he’s wearing? May I say Yip, with a side of Ee. The tag line is somewhat revealing about the book, but expected. It makes me even more excited for the next book, but I can’t say why or I may reveal too much for those of you who haven’t read the first book. If I had to rate this cover based on our rating scale, I would probably give it 4 stars. Why not 5? Well, I guess for the sole fact that it just didn’t surprise me at all or leave me in a pleasant shock. But, I did love it anyway! Great post! 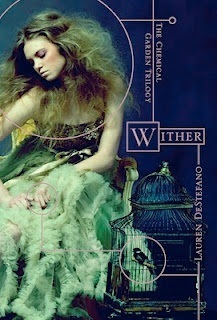 I agree with you on the Wither series covers just by looking at them (I haven’t read it). Maybe they got a new designer after the first book? Such a difference!